I will be looking forward to the next episode. Very Timely post. 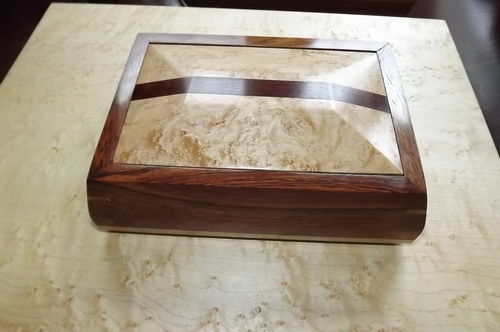 After seeing Andy’s ( gfadvm) recent box post with a reference to your help with the finish technique, I was hoping for the opportunity to get more details on your method. This will be a much appreciated blog, especially since I finally got some shellac flakes to play with. By the way, I plan to mix it with Ethanol which has a red dye in it. Will this work ok? shellac has become a favorite of mine, looking forward to learning your technique. I’m on the edge my seat!!! Looking forward to attending the “Blackcherry Finishing School”!!! Maybe I’ll turn into a respectable person. NOT!!! Always willing to learn something new. nothing replaces the classic french polish! -- Larry "Work like a Captain but Play like a Pirate!" 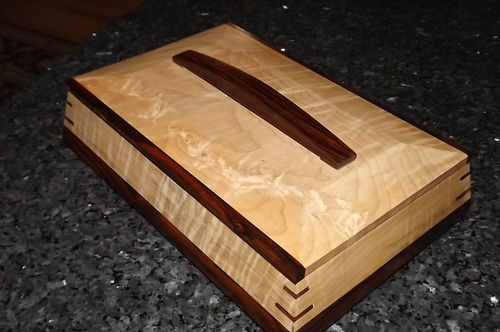 The finish on your boxes is amazing! Thanks for sharring. I too am holding my breath, so, hurry back.